We have a problem people. Too often when we need to use a conference room or meeting space, we either can’t find an available room or the room we booked has been pirated by another group. Have you experienced this issue at your workplace? In this competitive landscape, attracting and retaining top talent is difficult. Organizations work hard to ensure their employees have great workplace experiences, so making room scheduling easy makes a lot of sense. And the truth is, it’s not as hard a problem to solve as you might think. Now your staff can schedule rooms and there should be less overbooking issues. However, the modern workforce is collaborative and agile. Meetings don’t always happen on a schedule and sometimes a group will need a room for an impromptu brainstorming session. 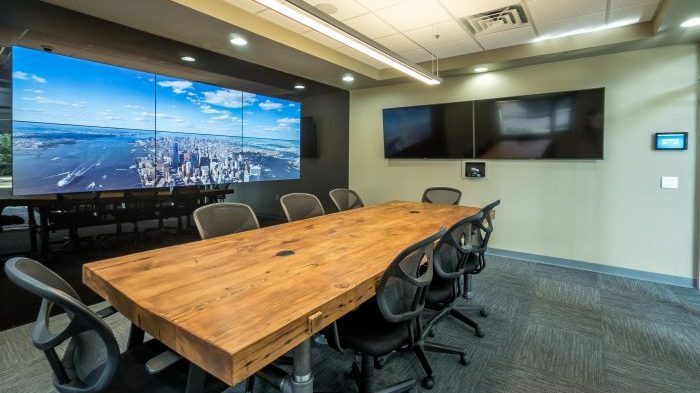 Touchscreens and monitors that display a meeting room’s availability and provide the ability to reserve it right then and there solve this problem. When it comes to selecting the touchscreen to use, it usually boils down to two options: an iPad or a dedicated device. Having worked with both, I can tell you with certainty, a dedicated device is the way to go. As reliable as an iPad is (and I love my Apple products), I recommend against rolling out an important office capability like this with a product that can walk away, is not purpose-built and relies strictly on WiFi. 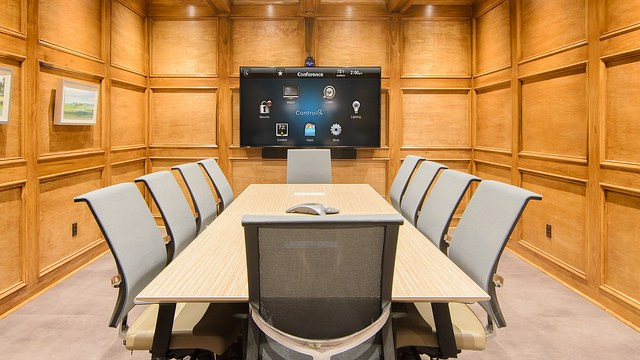 At Smart Systems, we use a Crestron touchscreen like the TSS-T-W-S because it’s reliable, fast, and easily integrates with Office 365. You can easily extend and enhance the power and functionality of the touchscreen with third party apps like Teem or Robin. On the technical side, I love that it can be POE & POE+, so that it can be managed remotely, and installation is a breeze with one wire. 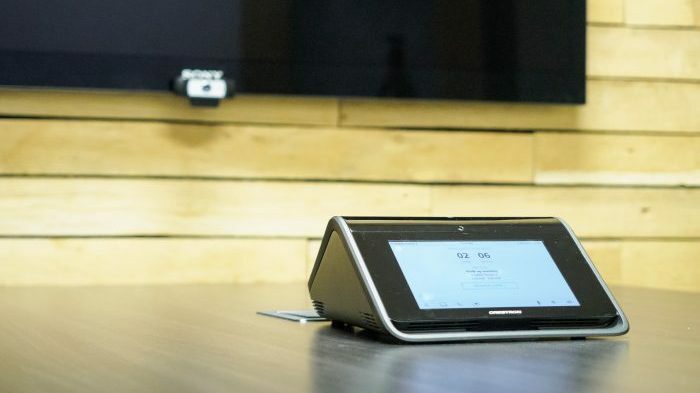 It has security features like 802.1x, TLS encryption, HTTPS connectivity and Active Directory. Want SNMP? You got it. You might think that an iPad wins hands down on cost, but by the time you factor in the mounting hardware and power issues, you close the gap on a dedicated device. In fact, the only downside I see is that the iPad is portable and can be multi-purpose, while a dedicated device is limited to scheduling. Now that we have a dedicated touchscreen installed, you might think we are done. But wait, there’s more. I know it may come as a shock, but sometimes people cancel their meetings and don’t remove them from the schedule. This can happen more if you allow recurring meetings to be scheduled too far in advance. So how do we open a room back up when a “no show” happens? 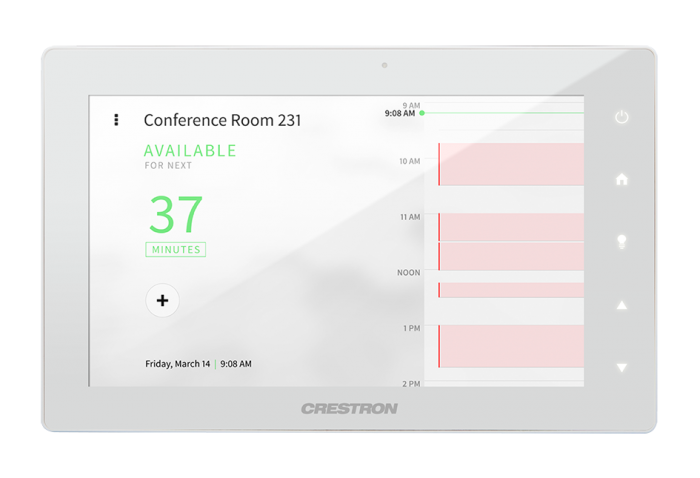 For rooms that have a Crestron control system or a third party solution, an occupancy detector can be installed and logic can be put in place to cancel meetings when no one shows up. It can also detect when a meeting ends earlier than expected. This returns the room to the inventory of available rooms so that it can be scheduled for use by a new group. 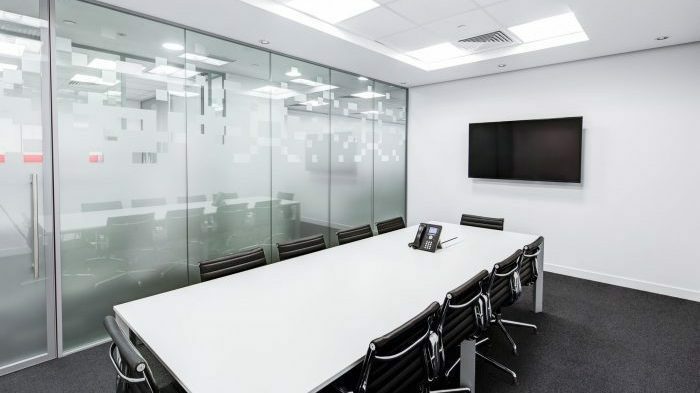 Of course, you can probably never avoid when someone from the “C-Suite” snipes the meeting room you scheduled a week ago and sends you and your group like office nomads in search of a new home, but you can employ a Meeting Room Scheduling System to eliminate some of your organization’s meeting room mayhem.